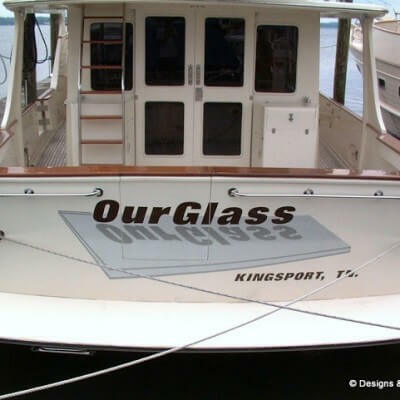 A sporty font and graphic come together nicely on this transom. 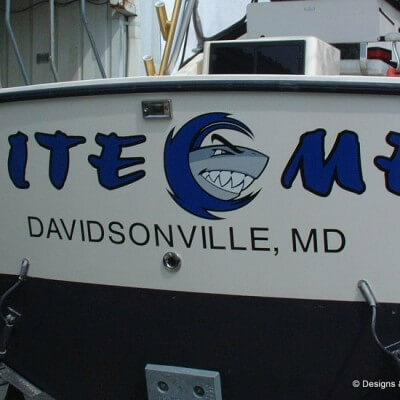 First the black outline is applied and then the blue letters are applied on top of it. 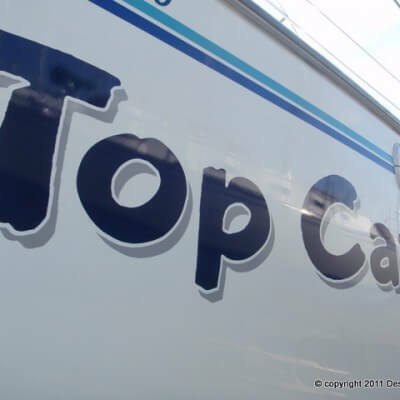 Simple but great looking! 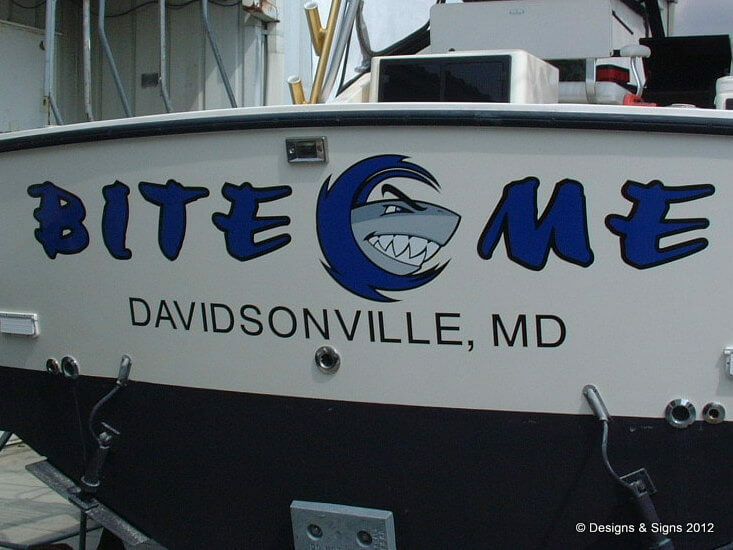 Bite Me! 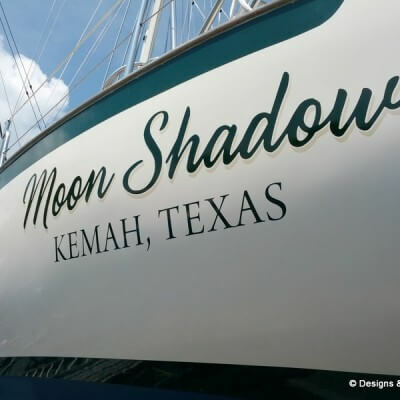 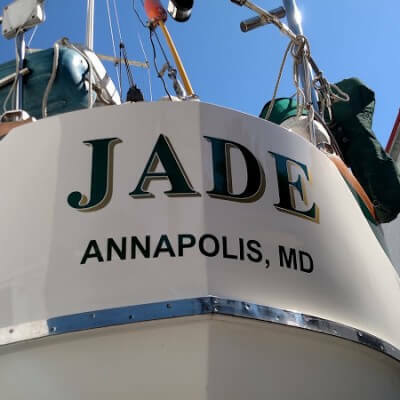 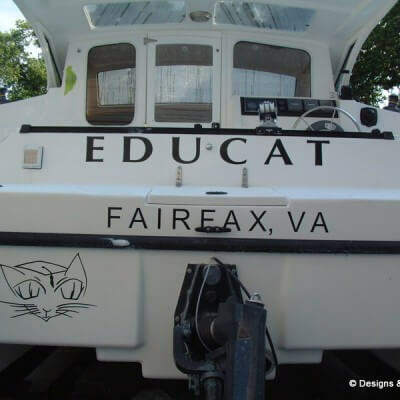 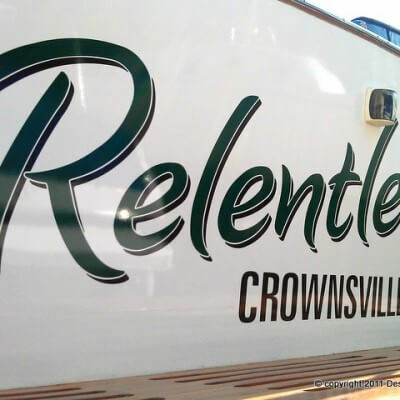 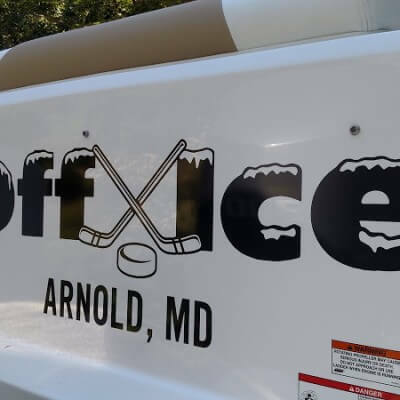 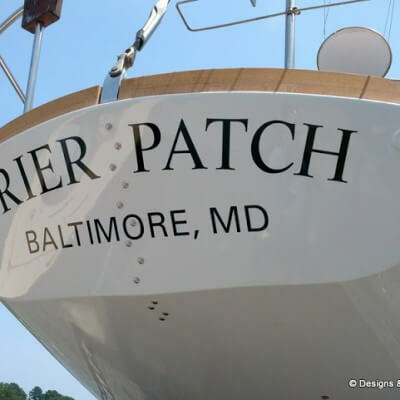 A custom vinyl boat name we installed many years ago at Anchor Yacht Basin in Edgewater, MD. 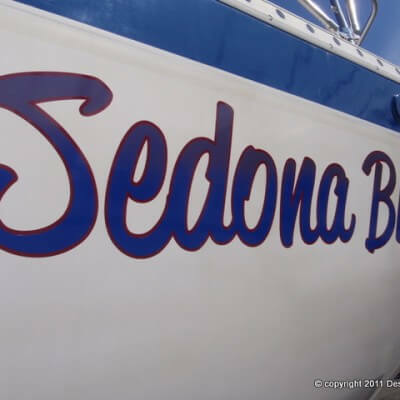 Every sport fishing boat should look this good! 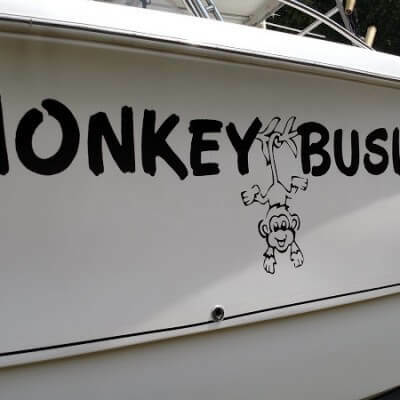 At Designs & Signs we are doing our best to make that happen! 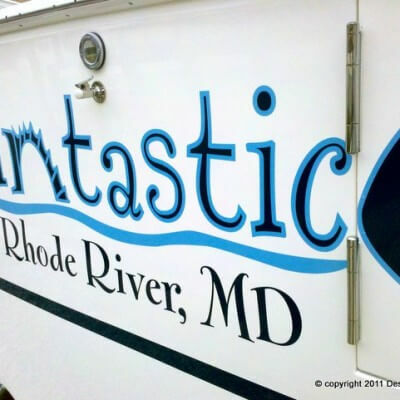 First we provide our customers with fonts to choose from. 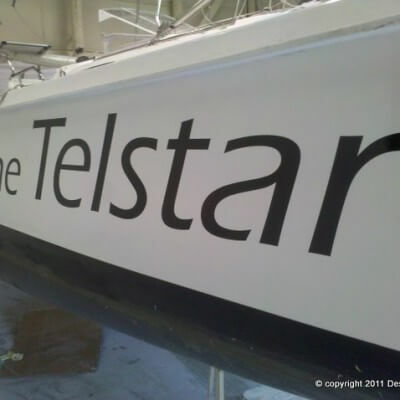 Once a font is selected we can incorporate other graphics into the design. 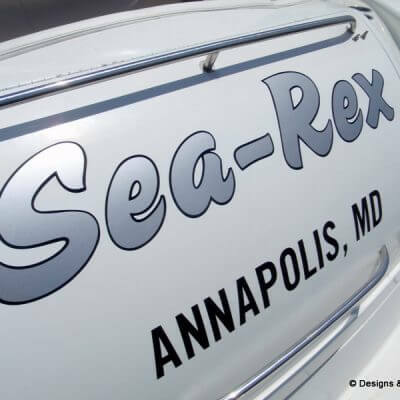 We use only premium vinyls for all of our custom vinyl boat names. 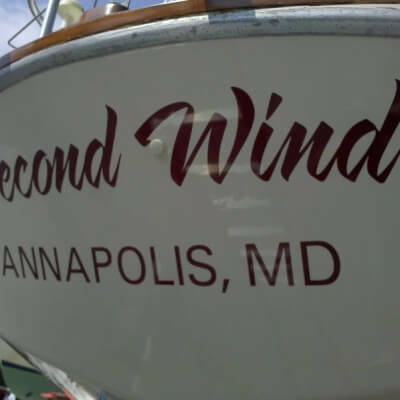 Vinyl Boat Name/s & SO MUCH MORE!